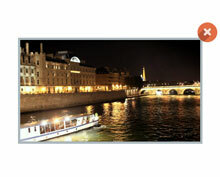 Video LightBox - Embed video to your website with beautiful Lightbox effect! Add video to your website with stylish popup video effect! Now for Windows and Mac! Video LightBox JS is a free wizard program that helps you easily embed video to website, web page or blog, in a few clicks without writing a single line of code. All it takes is 3 easy steps: 1.Add Video, 2.Select Template, 3.Publish. 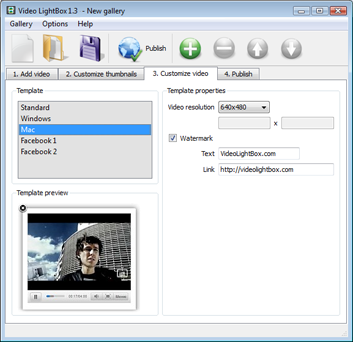 At the first step, you add a video clip, for example cut-n-paste YouTube url or drag-n-drop video file, then select the template for video popup and video thumbnail appearance and, at the final step, publish the result to a local drive or directly to the Internet via a built-in FTP client. New Bamboo, Scroll, Bookmark, Ionosphere, Turquoise, Monochrome, Route, Ghost, Metro, Modern, Prime Time, Catalyst, Dominion, Android, IPhone, Cloud, Dark Glass, Easy Web Builder, Windows, Mac, Facebook templates! Video LightBox is FREE for non-commercial use. A license fee is required for use on a commercial website. Video LightBox Business Edition additionally provides an option to remove the VideoLightBox.com credit line as well as a feature to put your own watermark to videos. After you complete the payment via the secure form, you will receive a license key instantly by email that turns the Video LightBox Free Edition into a Business one. You can select the most suitable payment method: credit card, bank transfer, check, PayPal etc. * Fixed bug with non-removable bootstrap gallery video after closing overlay. * Fixed compatibility problems with the latest iOS 9 and OS X 10.11 El Capitan. * Fixed problems with saving settings (selected template and "Thumbnail titles" option) in the project file. * Bootstrap carousel window is responsive now. * Fixed problem with local MP4 files on portable devices. * New templates: Prime Time, Catalyst and Dominion. * Support for new jQuery 1.9 and 1.10. * Improved "Insert to Page" wizard. 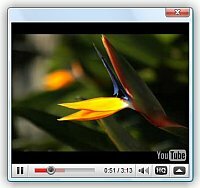 * Support for short YouTube links, for example: HTML5 Video. * Fixed problem with AdBlock Plus content-filtering browsers extension. 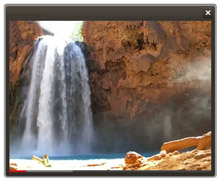 * Video LightBox plays on iOs 5.0 and Youtube video on Android. * The "Overlay shadow" parameter works correctly. 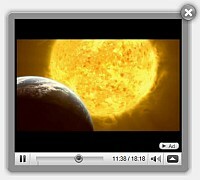 * Video LightBox plays as HTML5 video if Flash Player is disabled (iPhone and Android support while using mp4 video). * The option to fix MP4 meta info is added (for immediate playing of the video). * Close after play supports YouTube now. * Dutch, French, German, Italian, Spanish, Danish translations are improved. * Compatibility with other scripts is improved. * New Android and iPhone Templates! 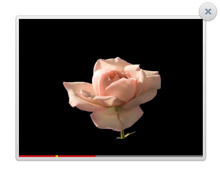 * Video LightBox supports video from yahoo! music and Veoh now! * New Português and Suomi languages are added. * Loading indicator is added to the local video player. * "Insert to Page" wizard opens a page in a browser view and you simply click inside the page to select where you want the gallery to appear and press "Insert After". No more HTML editing required! * New Dansk , Deutsch and Nederlands languages are added. * Video LightBox supports Facebook video now! * The ability to drag & drop flv, mp4, 3gp video files in your gallery is added. 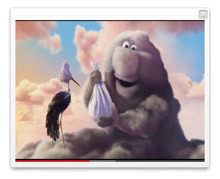 * Video LightBox supports Google Video, Metacafe, Vimeo, MySpace videos now! Step 1 - Adding video to website gallery. Copy and paste a direct link to your YouTube video (or Google Video, Metacafe, Vimeo, MySpace) into the 'Video url' field and press "Add video" button. This video will be automatically added to your website gallery. If you have included the videos that you do not wish to be in the website gallery, you can easily remove them. Select all videos that you wish to remove from web site gallery, and select 'Delete selected..' button from the toolbar. 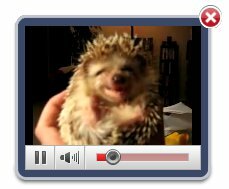 You can pick and choose videos by holding the CTRL while clicking the videos you like. Switch between available templates to select a template you want to use in the gallery. 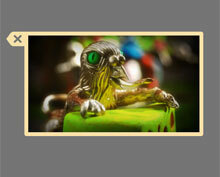 Control the quality of output thumbnail images by defining "Thumbnail quality" parameter (0%…100%). You can establish the various sizes for the thumbnails and video resolution. Step 3 - Publishing of Video LightBox. Put video on website or local drive. Now you are ready to publish your website video gallery online or to a local drive for testing. 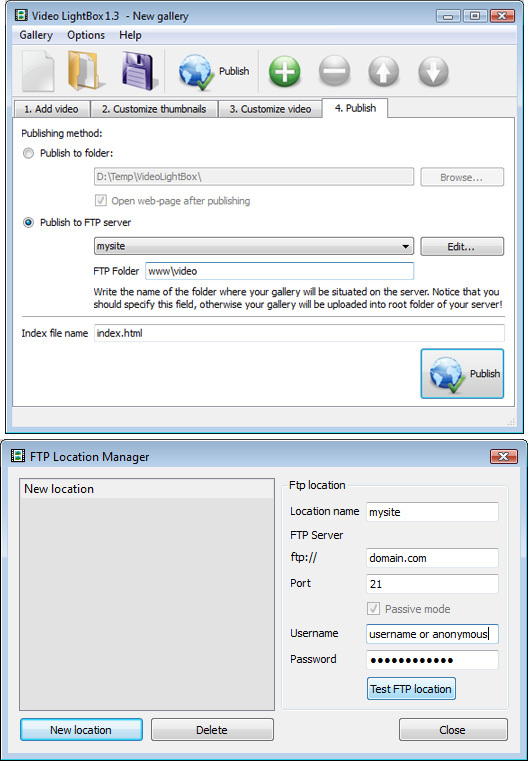 Select the publishing method: publish to folder or publish to FTP server or paste lightbox gallery into existing html page using Insert to Page option. Type in your username and password for the connection. If you do not fill in this information, Video LightBox is unable to connect to your site and thus not able to upload your videos to website. If this website enables anonymous connections, just type in anonymous as the username and your e-mail address as the password. Notice: Write the name of the folder where your website video gallery will be placed on the server. Notice that you should specify this field; otherwise your website video gallery will be uploaded into the root folder of your server! Insert to page.To select a html page, just click the Open HTML page button and choose page where you want to install web site album. Then click Open. 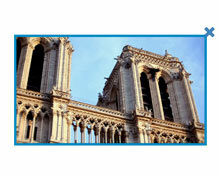 Click inside the page to select where you want you gallery to appear. Click 'Insert After' button and 'Publish button'. Notice that it is not posible to insert more than one gallery on the same page. When you exit Video LightBox, you'll be asked if you want to save your project. The project consists of the videos you choose to put on your website video gallery and all your settings. It's a good idea to save the project, because that will allow you to change the project in case you decide to do something different with future galleries. So click Yes, then enter a name for your project. To select the location of your project, just click the Browse folders button and choose a different location. Then click Save. 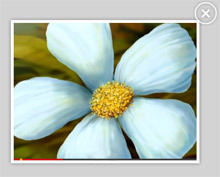 Step 4 - Add Video LightBox inside your own page. Video LightBox generates a special code. You can paste it in any place on your page where you want to add video popup. 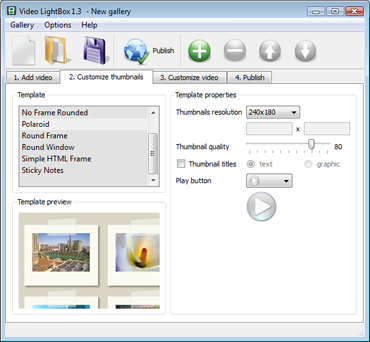 * Export your LightBox gallery using Video LightBox app in any test folder on a local drive. * Copy all code for Video LightBox from the HEAD and BODY tags and paste it on your page in the HEAD tag and in the place where you want to have a gallery (inside the BODY tag). * Upload generated folder with VideoLightBox files on your server. Why am I getting renewal notices that state I am expiring this month. Think your system is a bit confusing, and not sure if I will fall for the renewal next year. thought I bought a lifetime license for what I had. 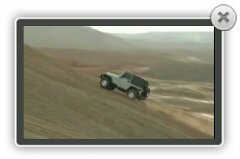 Jquery video pop up in Xara Web Designer 10 is shown fullscreen. I'm having problems getting videos to display in popup windows on our website. 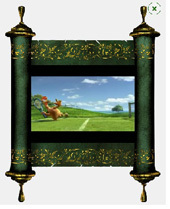 The gallery page that Video LightBox generates works fine - videos popup in a window when the thumbnails are clicked. Getting new templates for lighbox video. Can you please confirm that it will allow me to get all the new templates that have come out since I last updated? I didn't realize that the updates were new templates, and never updated after the initial download a year ago. Good afternoon I installed a commercial paid version and it works only in browser offline. I uploaded to website but online does not work. The videos don't work in website but work offline. Best regards. Hi there, I’ve tried VideoLightBox for the first time . 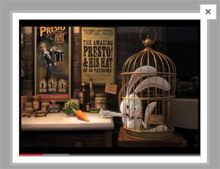 Why does it load the entire movie, before playback starts? Regards. How can I add a video to pages WordPress, or your program can not do it? I think to buy the full version, but have not yet figured out how to work with WordPress. Hello, we have purchased a unlimted license but now I have a new pc I want to move to. How can I move my app? I’m having trouble opening the application. "VideoLightBox" can not be opened because it is from unidentified developer. Any suggestions? Once I Purchase your product for personal use, will your names and all be removed from the videos? Make sure to include details on your browser, operating system, Video LightBox version, and a link (or relevant code). In most cases you'll get a reply within 1 business day.